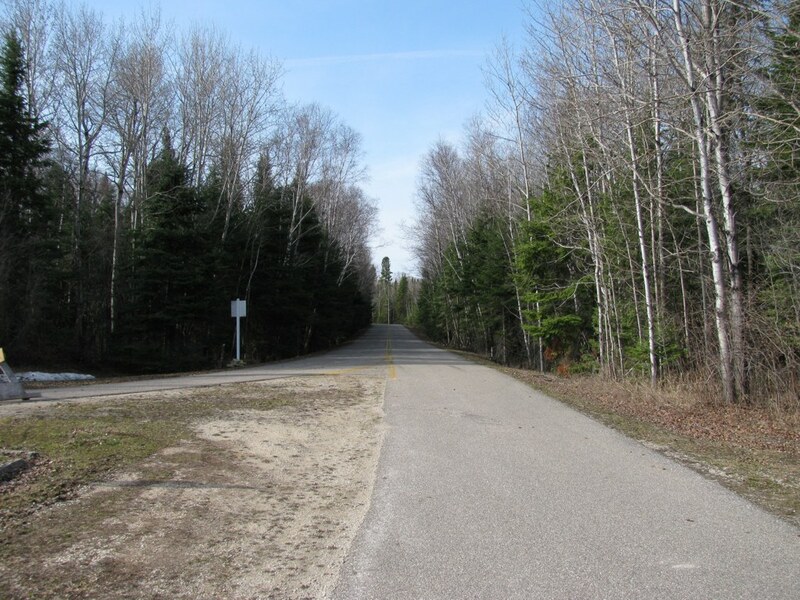 This portion of the route leads from the northern intersection of Hecla Village Road through Gull Harbour to the North Point campsite. 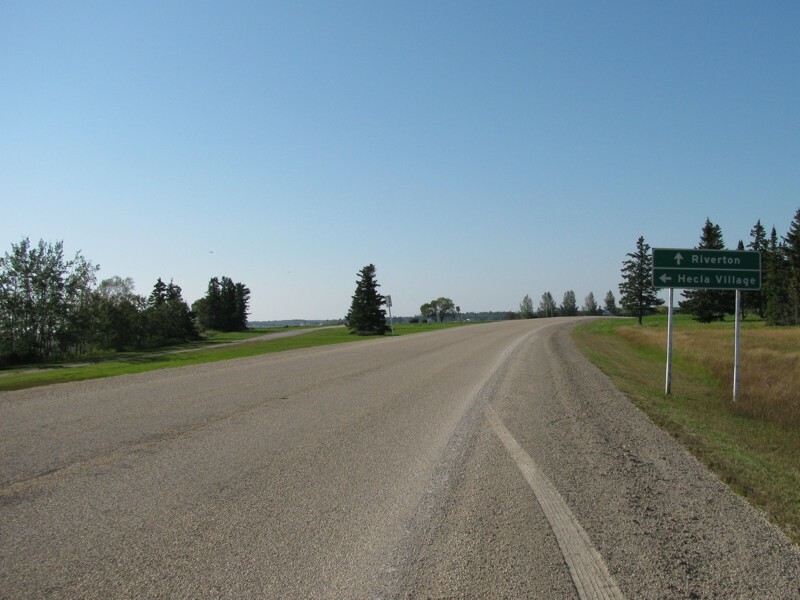 Hecla/Grindstone Provincial Park Northbound view north of the northern intersection of Hecla Village Road. 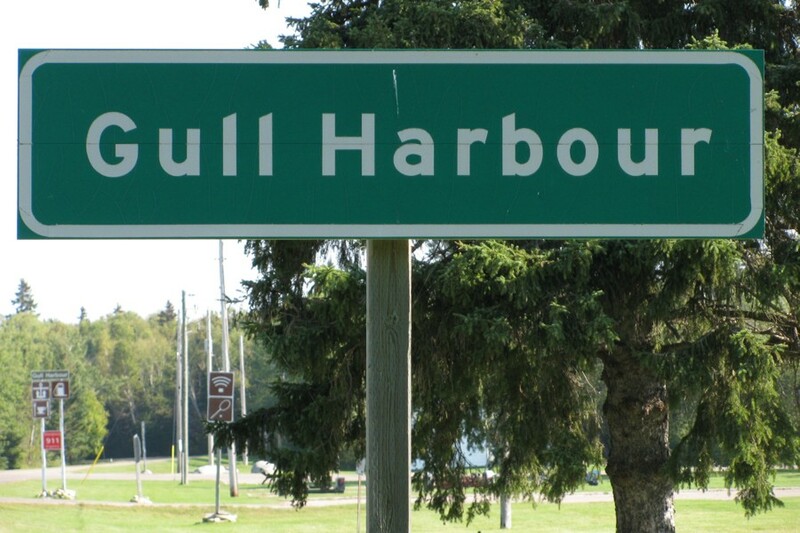 Ahead, speed is reduced and PTH 8 officially comes to an end, though the unnamed road continues north through Gull Harbour. 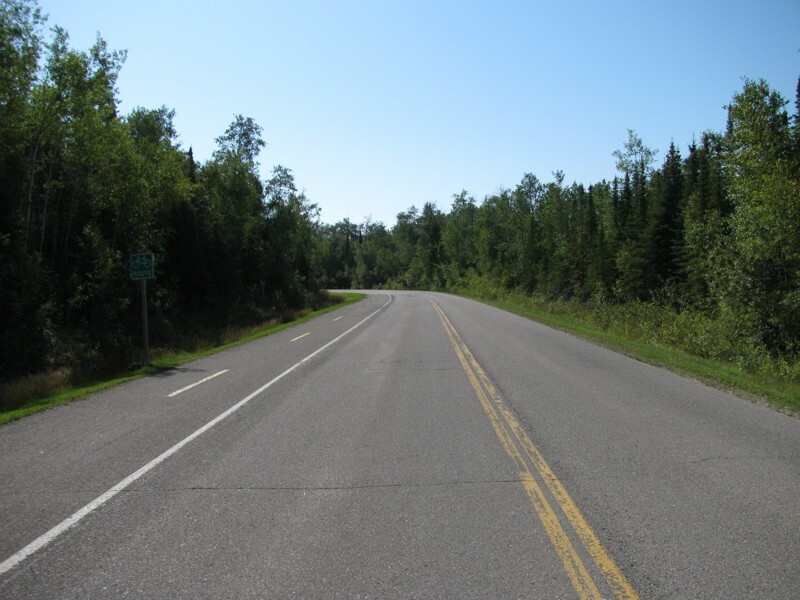 A cycling path will follow the road for most of the way to Gull Harbour. 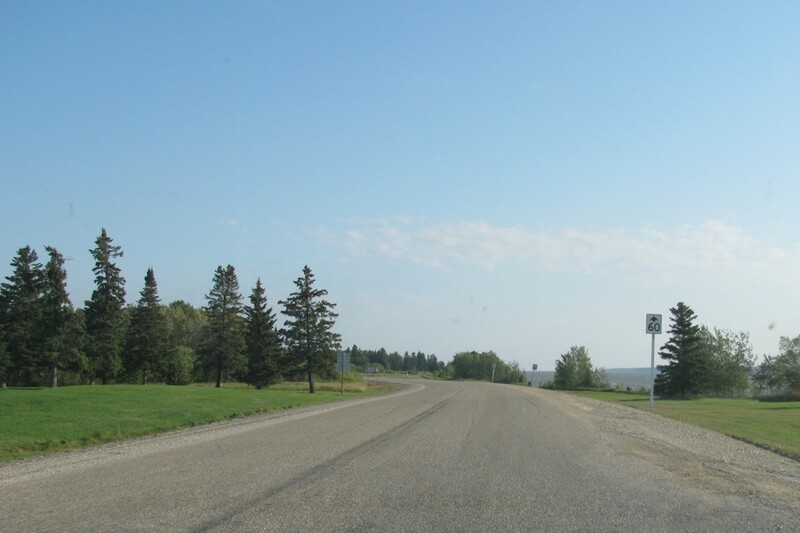 Hecla/Grindstone Provincial Park Northbound view showing the marker indicating the end of PTH 8. 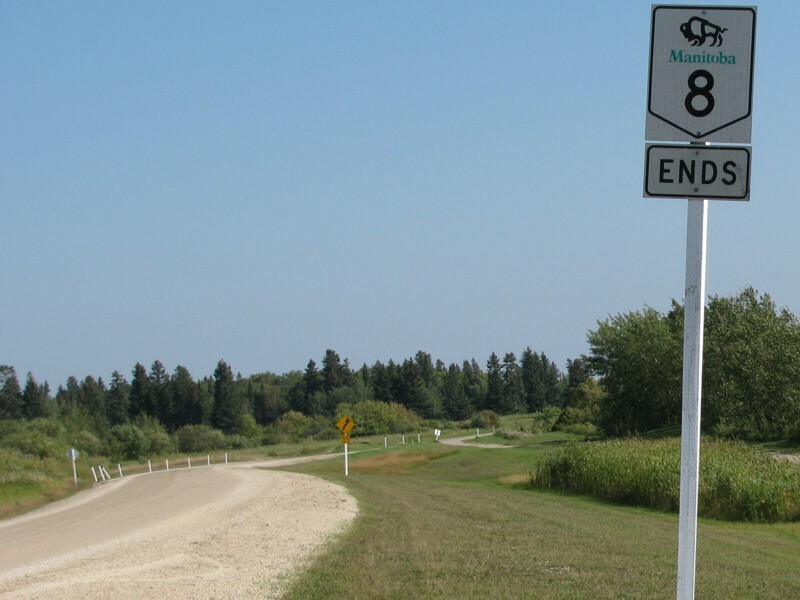 Hecla/Grindstone Provincial Park Northbound view showing a closeup of the marker indicating the end of PTH 8. 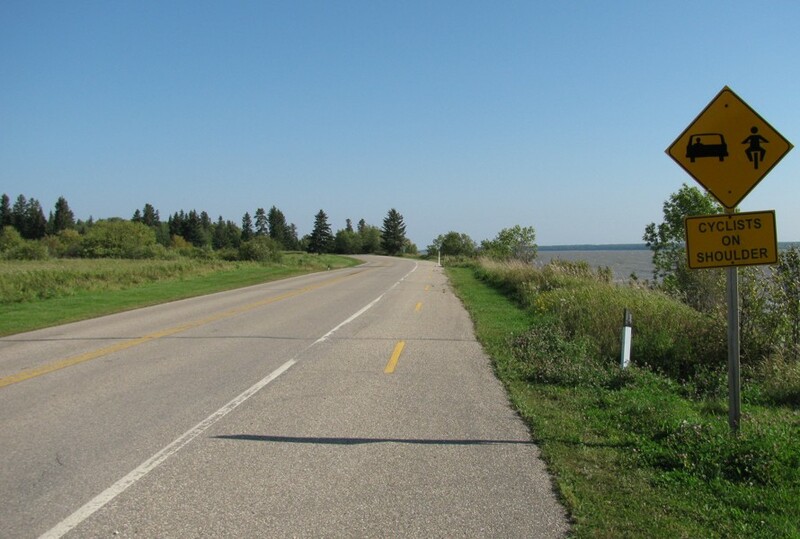 Hecla/Grindstone Provincial Park Northbound view showing another view of the marker indicating the end of PTH 8. In the background is a view of Black Island and in the foreground is the cycling path that runs adjacent to the highway farther north. 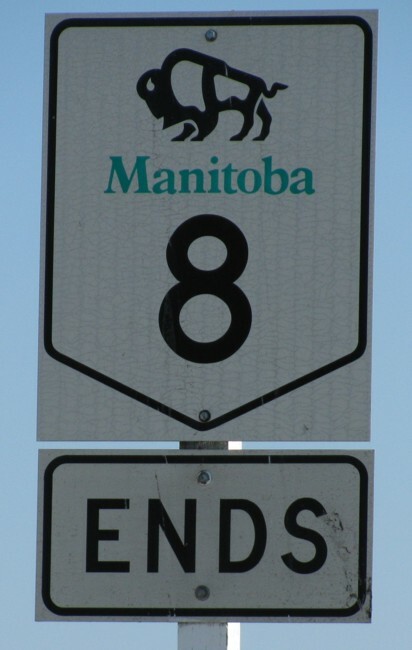 PTH 8 ends north of the northern intersection of Hecla Village Road and the unnamed road continues north through Gull Harbour and ends at the North Point campsite. 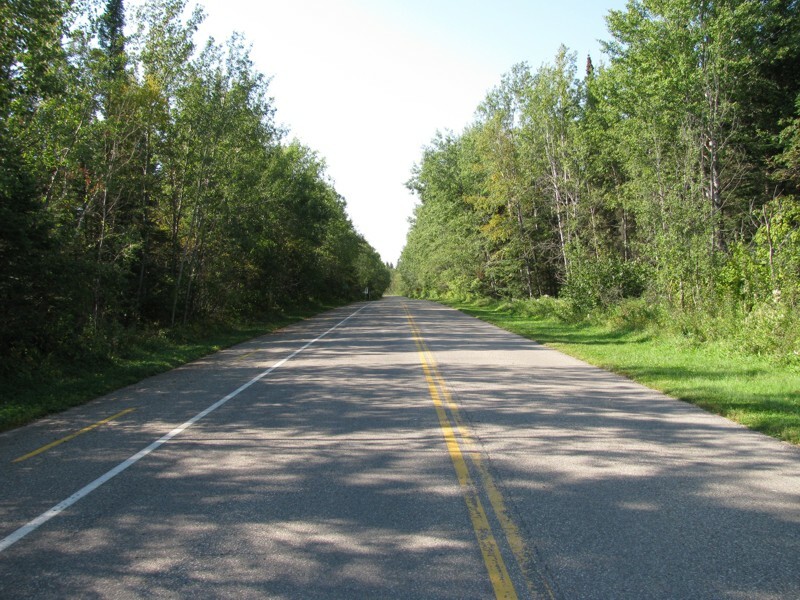 Official park literature, however, refers to this highway as being part of PTH 8. 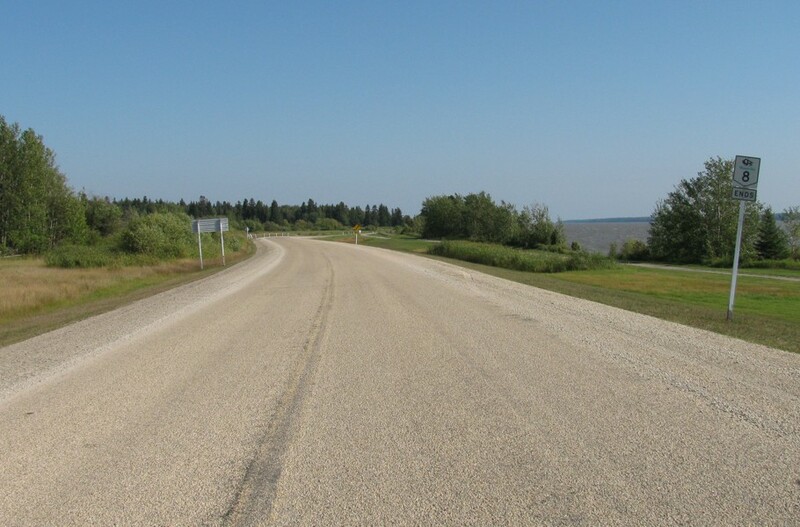 Hecla/Grindstone Provincial Park Northbound view showing the cycling path merging onto the shoulder of the roadway. 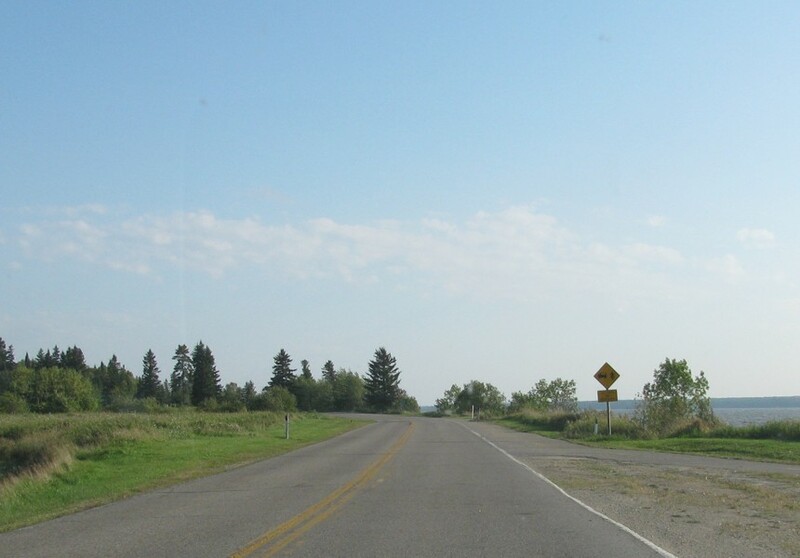 Hecla/Grindstone Provincial Park Southbound view approaching the northern intersection of Hecla Village Road. 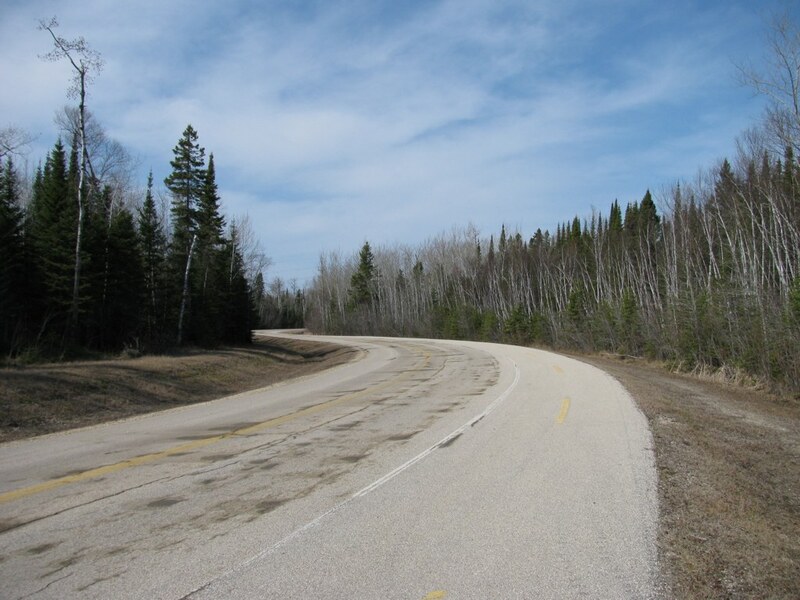 Hecla/Grindstone Provincial Park Northbound view showing the cycling path merging onto the shoulder of the roadway. In the background to the right is Black Island. 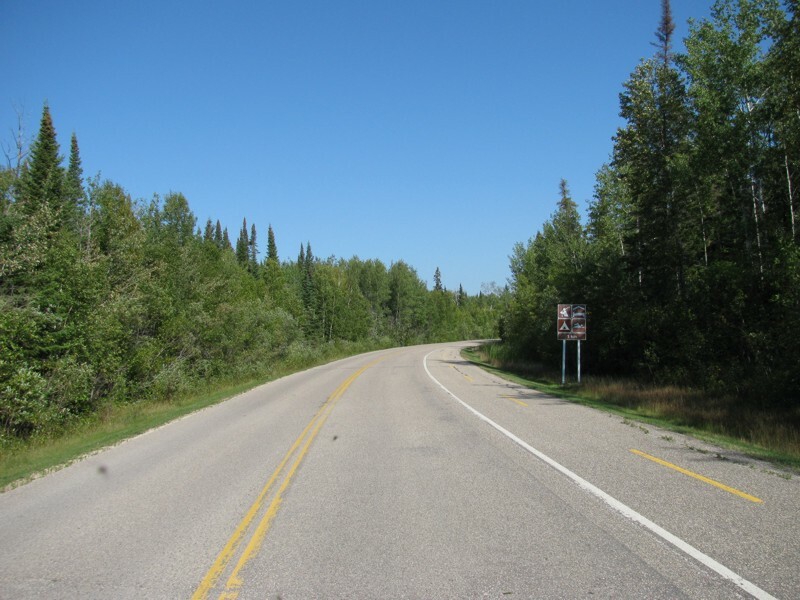 Hecla/Grindstone Provincial Park Northbound view showing the “Cyclists on Shoulder” sign. With the two-way traffic on the shoulder, it makes for an unnatural feeling when cycling southbound almost against northbound traffic. 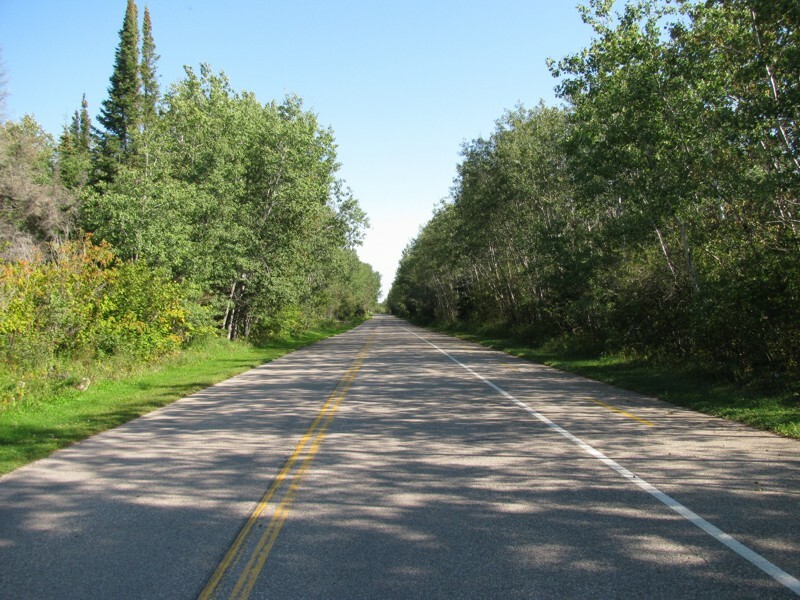 Hecla/Grindstone Provincial Park Northbound view on the road to Gull Harbour. Hecla/Grindstone Provincial Park Southbound view between Hecla Village and the Radisson hotel turnoff. Hecla/Grindstone Provincial Park Northbound view approaching the turnoff to the golf course and the former Hecla Oasis Resort. 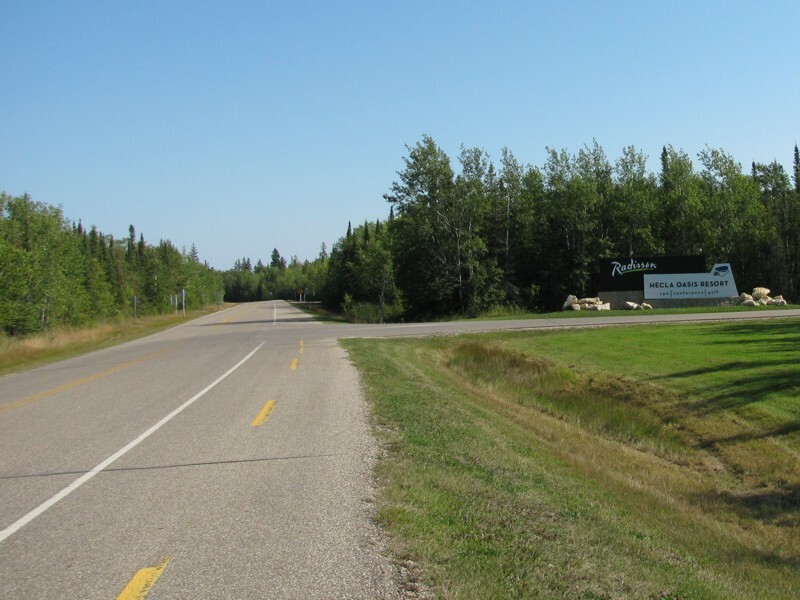 Hecla/Grindstone Provincial Park Northbound view 1 km from the turnoff to the former Radisson Hecla Oasis Resort. 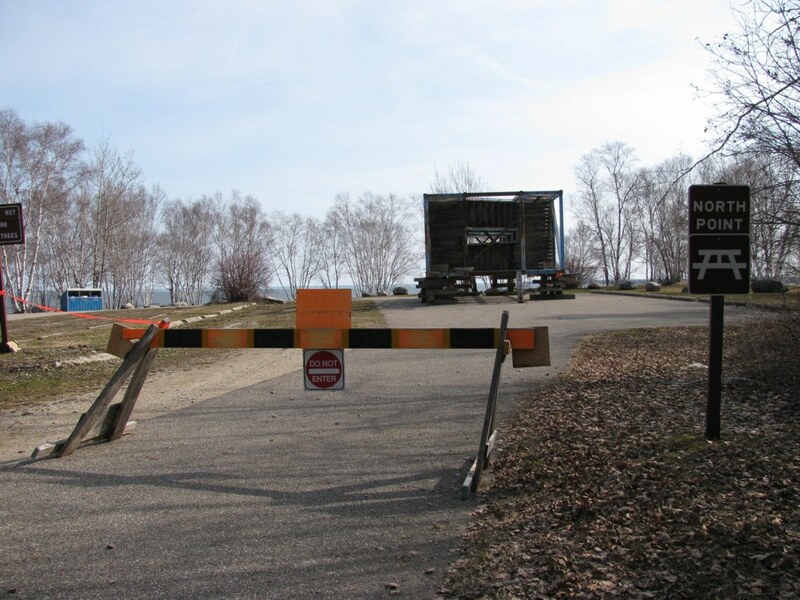 The resort was originally built by the Manitoba government in the 1980's and it was taken over by the Radisson chain prior to going into receivership. 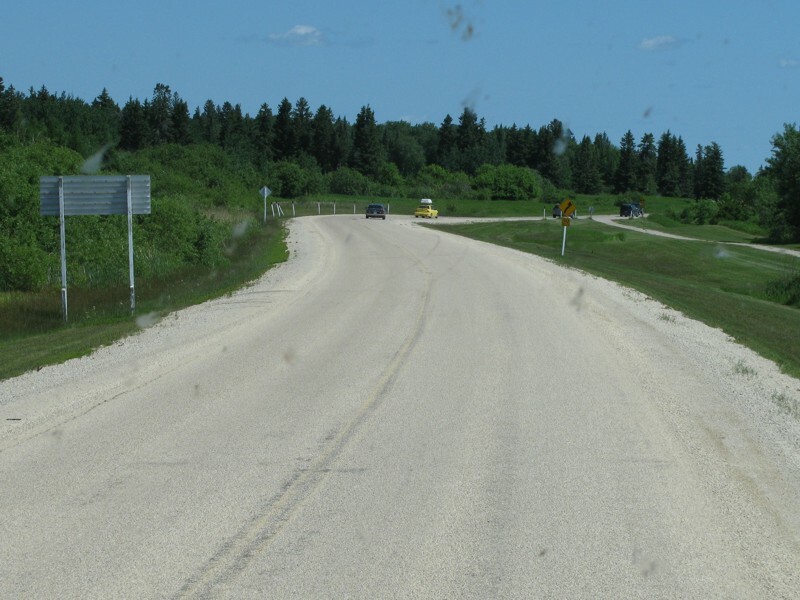 Hecla/Grindstone Provincial Park Southbound view 1 km south of the turnoff to the Radisson Hecla Oasis Resort. 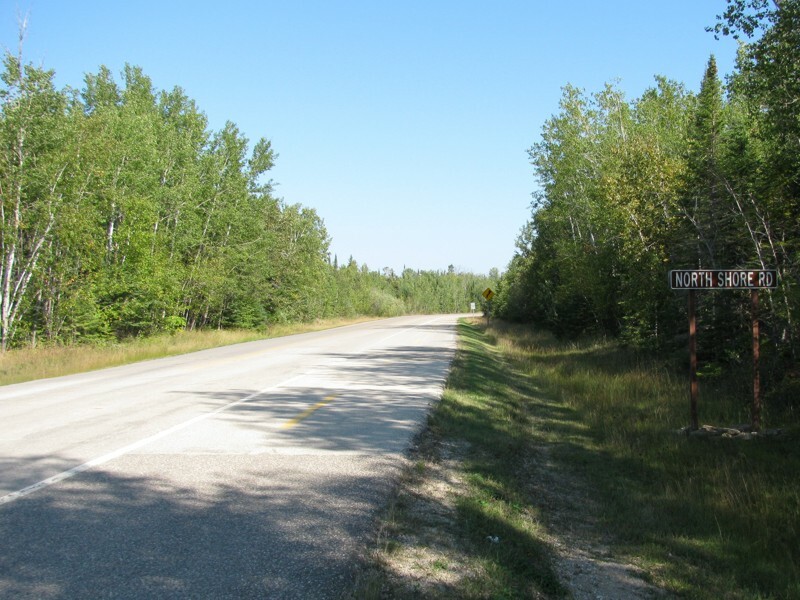 Hecla/Grindstone Provincial Park Northbound view showing the sign for North Shore Road, which leads to a series of cottages and campsites. Hecla/Grindstone Provincial Park Northbound view at the turnoff to the Radisson Hecla Oasis Resort. 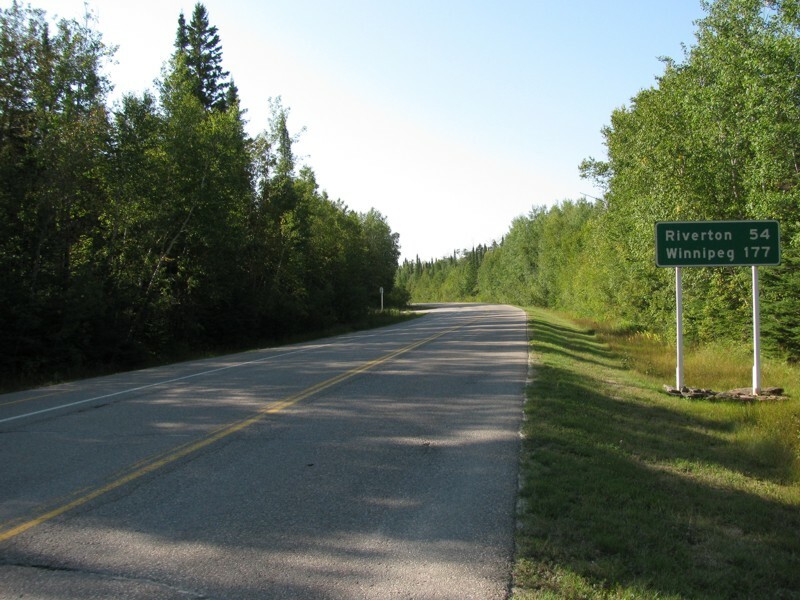 Hecla/Grindstone Provincial Park Southbound view showing the sign giving the distance to Riverton and Winnipeg. 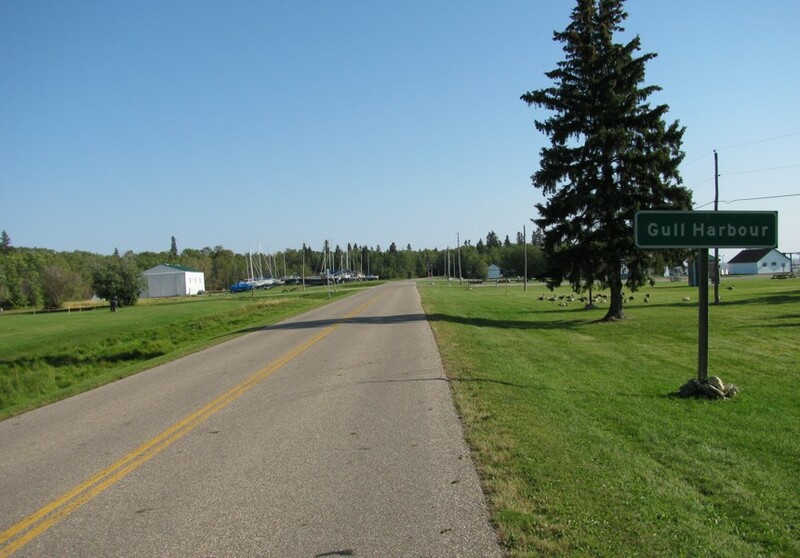 Hecla/Grindstone Provincial Park Northbound view showing the sign for Gull Harbour. 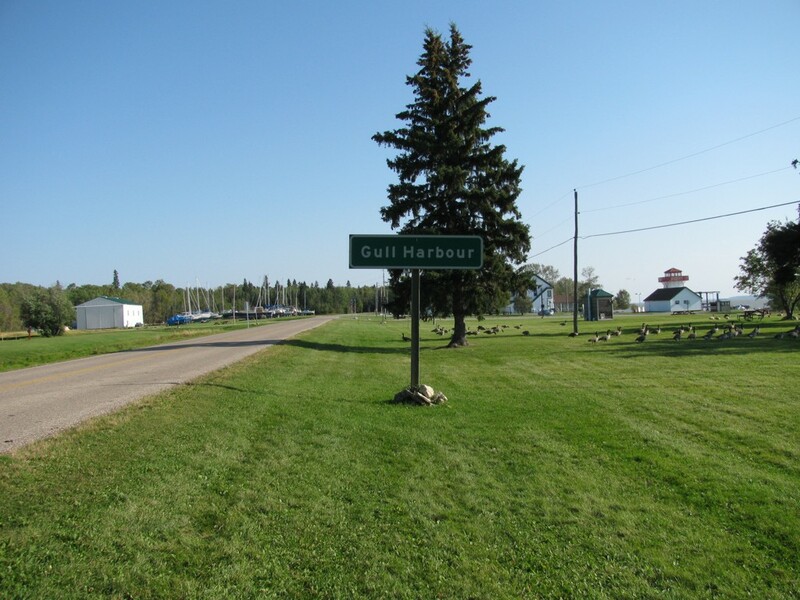 Hecla/Grindstone Provincial Park Northbound view showing a closeup of the sign for Gull Harbour. Hecla/Grindstone Provincial Park Northbound view at the North Point campsite. 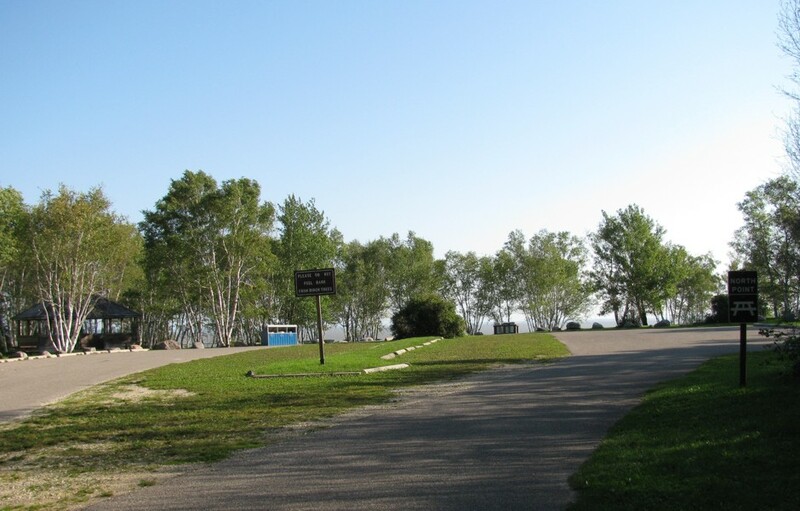 Hecla/Grindstone Provincial Park Northbound view at the North Point campsite. Though there are trails that circle around this area, this is land's end. 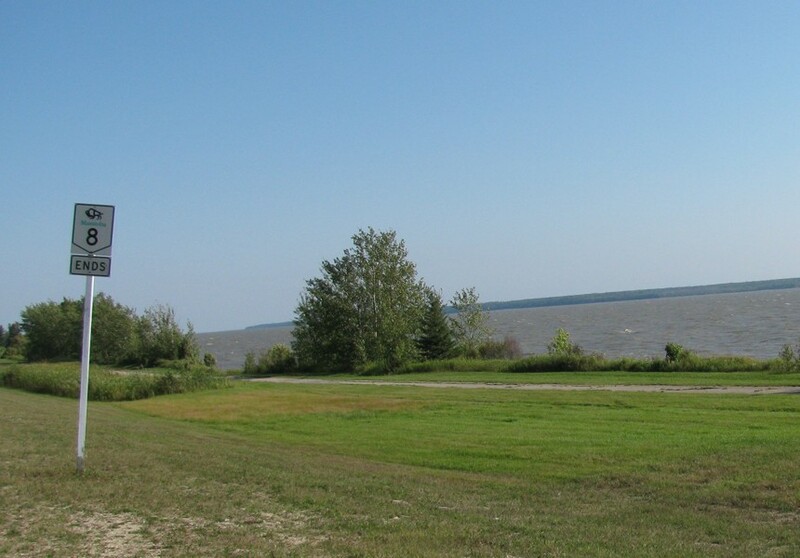 Hecla/Grindstone Provincial Park Southbound view at the North Point campsite.